A year of 'Sand In My Toes'! Wow, I can't believe it's been a year of blogging about being a first-time mom, Little Dude's milestones, and Dubai's many colours. 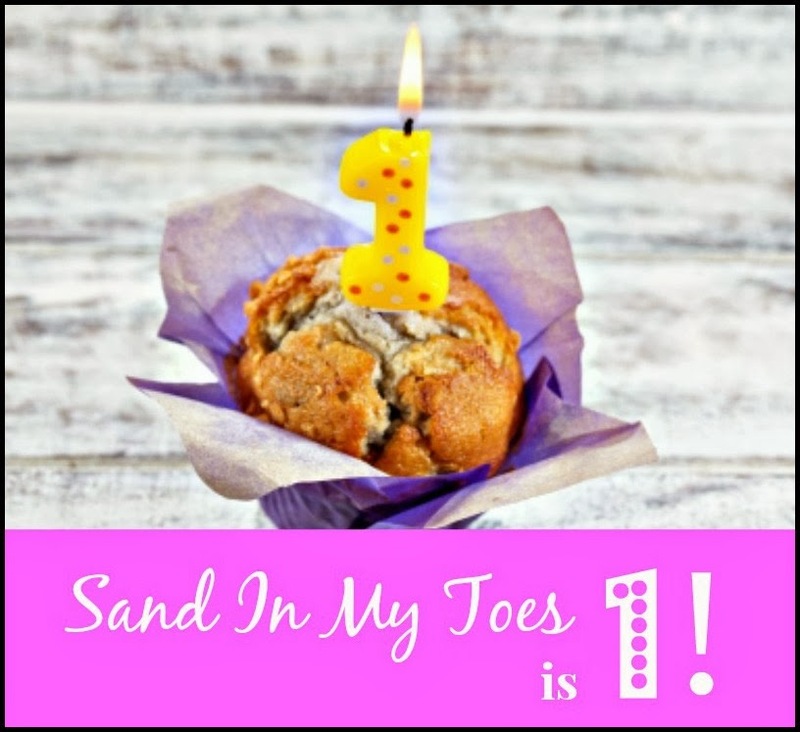 Yes, Sand In My Toes is a year old today! I had quietly started putting up posts since December 2012, but only on this day last year did I transfer to this domain name. I'm celebrating my first year anniversary as quietly as I started, but I would like to thank each and every one of you who stopped by to read my thoughts, opinions, musings, and ramblings! Looking back, I have realised that this blog has become an important part of my life - more so, since I don't have a job apart from this. But, of course, there's nothing more important than creating special moments with Little Dude, and taking on the challenges of motherhood as best as I can. I guess I'm a mother who thinks too much! But how can I not worry about the kind of world my child will grow up in, or the people he will encounter, and the decisions he will have to make? I think it's part and parcel of being a parent, and I know I will never be 'carefree' again. On another note, I did love writing about the humourous aspects of parenting - such as The guide to mom superpowers, Baffling toddler behaviours, and The story of my trip to mom-jail! After all, if we didn't laugh at our fumbling and mistakes as parents, we wouldn't retain our sanity! Parenthood - Parenting posts from the funny to the serious, to the useful tips. Toddlersims - Funny, surprising, and mysterious is how I describe toddlers! Toddler Tales - Snippets of what I'm learning all the time from Little Dude. Dubai Living - Tips for those living in, and travelling to Dubai, as well as my posts on life here. Blogging - Blogging and social media tips from a non-expert...me! A Day Like Today - An ongoing guest posts series about special moments shared with your kids. I'd love more contributions! There are more in the pipeline, and if you'd like me to write for your blog, drop me an email. It's been a wonderful journey, and I'm looking forward to writing more, meeting more people, and making more discoveries! Happy Blogiversary! I'm a first time visitor and enjoying my stay. I'm liking your blogging tips. Happy blogiversary. I'm also a first time visitor and a mom to a toddler. We might have a lot in common. Hope this year is full of great stories! Thanks, Tim, I hope you'll return! Thank you, Morgan, it's been good connecting with you! Thanks for the wishes, Fiona! Thank you for your kind word, Mike! Happy to hear that, Tas! Congratulations and Happy Blogiversary! It's a wonderful milestone. Keep up the great writing! Thanks for the wishes and lovely words, Gina! Thank you Sara, looking forward to it! YAY!! Happy Blog Birthday honey and thank you for writing such a beautiful post for my blog this week. What to expect from 'Sand In My Toes' in 2014!